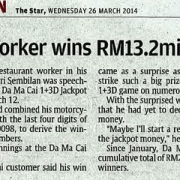 Permutation 3D is the most popular game in Malaysia. The platform provides not only different ways to play but also various betting types for players. Now, come with 4D Result to know more details about 3D Pusing – Small Bet! 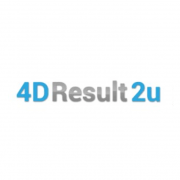 Step 1：Click Login button in the upper right corner of 4DResult2U homepage. When you see the login page, please fill in username and password and click the “login” button below. If you are not a 4D member, Register 4D for free now to know more! Experience 3D immediately! Step 2: The page will shift to iBET after you log into your account. Select LOTTERY/KENO Game Room to enter the game page. （5）Click “Buy” to complete betting. iBET’s Reminder：The system will show the purchase details and the amount of your numbers right after you finish the bet. Step 5：As shown in the picture below, players can check the details in Bet History. There are two betting types for Permutation 3D. “ABC” means Small Bet, and “A” means the 1st Prize Bet. Various betting types means different prizes. As the picture shown below, ABC (Small Bet) includes the 1st Prize, 2nd Prize, and 3rd Prize. Although you buy a Small Bet, you can have more chances to win. 3D Pusing- 3D Small Bet is a great option for you to bet online! To provide 4D players with lots of promotions, iBET Online Casino offers the best odds in permutation 4D. It’s RM3400 for Big Bet and RM 4800 for Small Bet. We also have different ways to play. You can use the simplest way to get high prizes! 1. You don’t have to rush! The prize amount will be sent to your iMoney account on the next day at 8 a.m..
2. No need to verify your ID, and betting records (of your win prizes) are always in Bet History. 3. You can do everything online. It’s safe and convenient. Our customer service is ready to assist you in 7 days 24 hours.